Former State Security minister Didymus Mutasa is ready to rejoin the ruling Zanu PF party, which sacked him in 2014 for hobnobbing with former vice president Joice Mujuru. The Daily News on Sunday can, however, report that Mutasa has put one condition for his return to a party he formed along with other nationalists in the 1960s: He wants President Emmerson Mnangagwa, whom he lavished with praises, to invite him back to the party. “I am ready to rejoin Zanu PF. I have not talked to them directly but I have spoken to those who serve the country outside — things are moving very well, I don’t see things going bad,” he said. It is unlikely that Mutasa’s wish would be granted. Zanu PF was adamant this week that the 82-year-old politician is aware of the procedures that must be followed before readmission. And as the party’s former secretary for administration before his sacking, Mutasa should know better. “He should follow the procedures that are required and he knows them,” quipped Simon Khaya Moyo, Zanu PF’s national spokesperson. Zanu PF’s constitution requires any individual willing to return to the party to appeal to its central committee, which is its policy-making organ. Thereafter, the appeal is taken to an ad hoc appeals committee of congress whose decisions shall be final. Mutasa’s precondition could be based on the fact that the powers-that-be in Zanu PF are known for bending the rules when it suits them. In re-admitting former Higher and Tertiary Education minister Jonathan Moyo into the party in 2013, Zanu PF took the unprecedented step of inviting the serial political flip-flopper to return to the party because it was desperate at the time to utilise his propaganda skills. Ironically, it was Mutasa who facilitated Moyo’s return. Moyo had been expelled from Zanu PF in 2005 for refusing to give way to a woman candidate for the Tsholotsho constituency after the ruling party had reserved the seat for a woman. The sharp-tongued politician, who is now in self-imposed exile following former president Robert Mugabe’s ouster, had fallen victim to purges that targeted Zanu PF members who had organised an unsanctioned meeting in Tsholotsho to oppose the election of Mujuru as vice president. Mutasa, the country’s first black Speaker of Parliament, was expelled from Zanu PF by Mugabe along with a host of other officials who were seen as loyal to Mujuru. Upon receiving his marching orders, he teamed up with Rugare Gumbo, Dzikamai Mavhaire, Kudakwashe Bhasikiti and Mujuru to form the Zimbabwe People First (ZPF). A few months after its formation, ZPF split because of irreconcilable differences between its founders. Mutasa and Gumbo were among those who clung to the party’s name and offices while Mujuru moved on to form the National People’s Party. 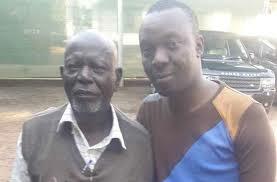 Since leaving Zanu PF, Mutasa has been struggling to keep body and soul together. His vehicles and even furniture were attached by authorities while he is battling to pay bills and send his children to school. Since the fall of Mugabe, he has expressed willingness to rejoin Zanu PF. He told the Daily News last year that he was closely monitoring Mnangagwa’s government to see if they can work together. “There is need for honesty from the leadership. People are listening to what he (Mnangagwa) is saying very closely. People are still afraid of him, maybe because of the presence of the army which helped Mnangagwa ascend to the top. But they have to guarantee free and fair elections; let us be totally democratic. Whoever wins will have the people’s mandate. But as long as people are skeptical, that would be wrong — we are saying remove all that,” he said then. “I have no doubt at all that if he does that he will win, because so far people are indicating that they like him, why would he rig? Let’s have a proper election where he is elected president. When that happens, I will submit myself to him and say let us sort out the Gukurahundi issue,” said Mutasa. Presidential spokesperson George Charamba has previously said Mutasa was welcome to rejoin Zanu PF. Charamba’s boss, Mnangagwa, has been sending positive signals to the outside world and the locals to help him in rebuilding the country. Mnangagwa has been preaching the gospel of reengagement with estranged countries, anti-corruption and tolerance. For the first time in close to two decades, Zimbabwe is now hogging the international limelight for the right reasons. Under Mugabe’s reign, the country was blighted by controversy, human rights abuses and flagrant disregard for property rights. Mnangagwa has discarded most of Mugabe’s policies. Regarding the performance of Mnangagwa’s administration, Mutasa remarked:“So far so good, they have done extremely well”. Mutasa said this was a tantalising development that could once again see Zimbabwe developing and matching other countries. “Mugabe should have left the country a long time ago. We once told him before we were expelled that it was not about his wife but for the rest of the country. Sadly, we were part and parcel of his rule and what has happened cannot be reversed,” he said. “It is hard to criticise Mugabe but there is a lesson we are all being taught by Emmerson that there is need to pave way for others. Emmerson deserves our thanks but the only question is; how did he manage to do it when someone failed for 37 years?” said Mutasa. Mutasa may not be the only former Zanu PF member weighing their options. Former Zanu PF spokesperson Rugare Gumbo told the Daily News last week that he was ready to rejoin Zanu PF. The only surviving member of the Dare ReChimurenga that directed the liberation war struggle, Gumbo attended Zanu PF’s extraordinary congress held in Harare last December. Association but now we are waiting for the leadership to clarify certain things while we consult with others, including Mutasa,” Gumbo said. “It must be noted that there are problems in Zanu PF some of which forced us out in the first place so we have said we want clarity on the direction and role we will play should we come back. “It really depends on what clarification they will give on issues of unity, internal fights which is something that has always concerned us so it is under consideration because I have a constituency to consult,” he added.